Originating in England, the sport dates back to 13th century and found popularity in 18th Century Australia. A bowls green is 37 to 40 meters, square, and perfectly flat. The green is divided into rinks, which are not less than 5.5 meters or more than 5.8 meters wide, so several games can be played at the same time. A set of bowls, which includes four bowls and comes in several sizes to best fit the player’s hand. White, brown and black-colored bowls are most often used. However, brightly colored bowls are becoming more prevalent. To help distinguish from opponents’ bowls, colored decals are often put on the bowls. A jack, which is smaller, white and round, and used as the target. 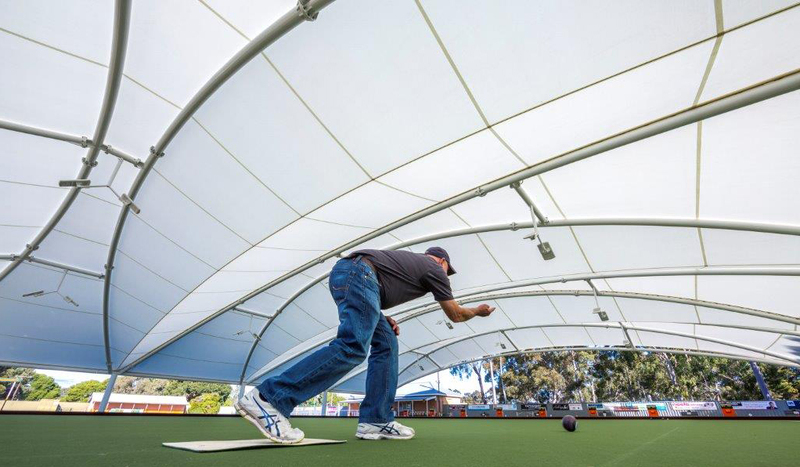 One foot must be on a mat, which is 600 mm long and 360 mm wide when a player delivers the bowl. The object of the game is to roll the bowl as close to the jack as possible. The jack is rolled the length of the green to start each end. Where it stops, after being centered in the middle of the rink, it becomes the target for the balance of the end. The bowl is not completely round but in fact has a “bias,” allowing it to curve inward as it slows. The bowl curves either way, depending on which way it is held during delivery. Bowls is a game that involves an offensive and defensive strategy to play the game and has the added challenge that the jack is movable and can be displaced anywhere on the rink by a delivered bowl. The protection from direct sun will provide comfort and safety to the players, with the added benefit of more regulated temperature conditions. 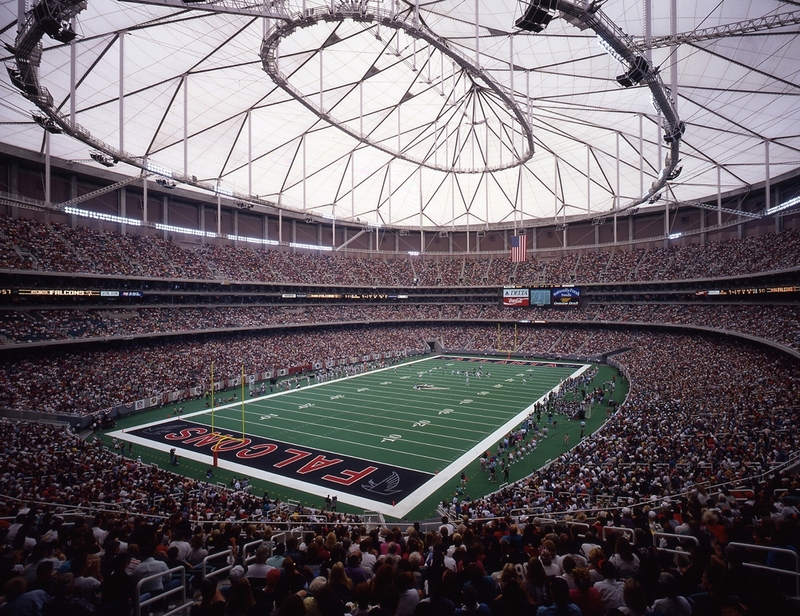 The roof reduces maintenance costs including lower energy costs due to enhanced daylighting conditions and use of rainwater connected to an efficient irrigation system. 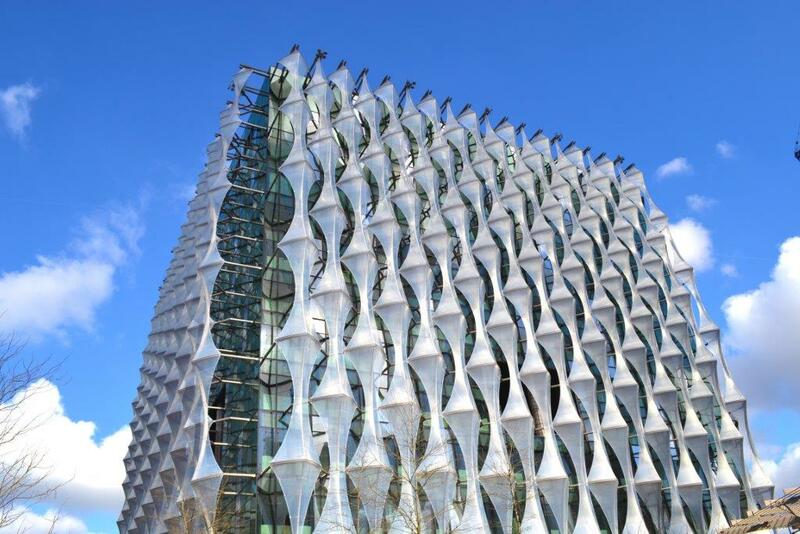 The aesthetic appearance of the roof will also provide an additional asset to the club making it appropriate for parties, corporate events, and weddings. 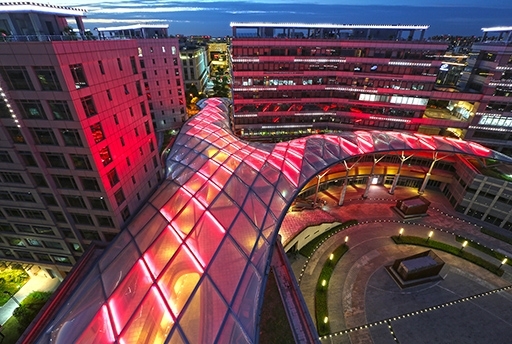 Our team is committed to the delivery of a unique and innovative structure, designed to our client's specific needs. 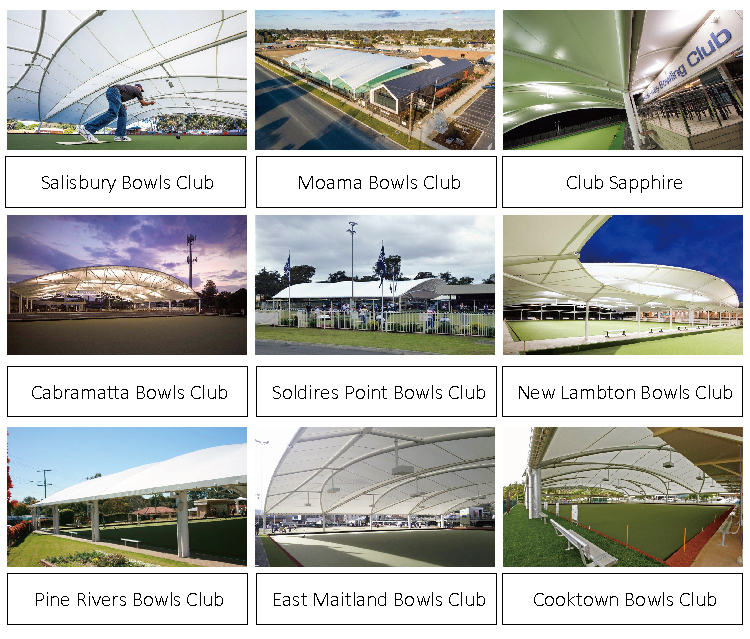 MakMax Australia is the preferred supplier endorsed by Bowls Australia. “MakMax attention to detail and customer service has been first class and I have no hesitation in recommending MakMax as the Bowling Green Shade Cover Specialists"